1st place on Japan AppStore category rankings! 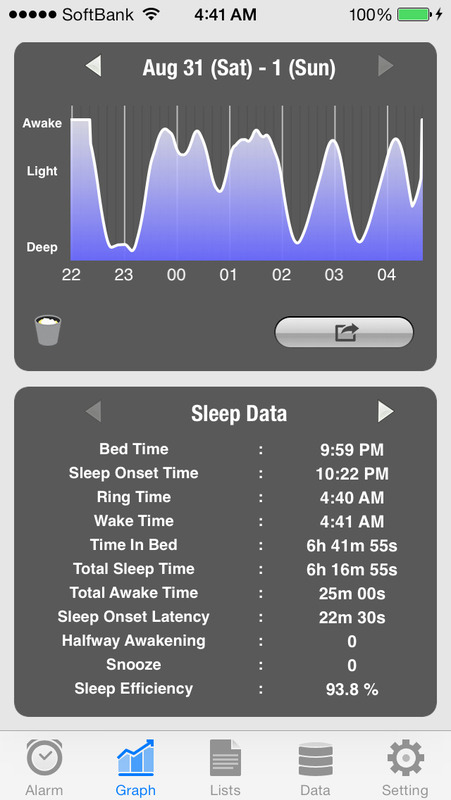 'Sleep Meister' is an alarm application that has many other functions besides its main one as a tracker for sleep cycles. It is able to sense your movements while you sleep and choose for the alarm to ring at a suitable time when you are in light sleep. It has many functions. Health app integration. Automatic tweets. Recording your sleep talking. Daily notes. Analysis by graphs and lists. A music player that stops itself when you fell asleep. And so on. Towards a more pleasant morning! ※ If the app was crashed when measurement start or show the settings, please restart the app after crash it. - Compatible with iOS 8. - Compatible with iPhone6 and IPhone6 Plus Retina HD. - Alarm that rings during REM sleep. 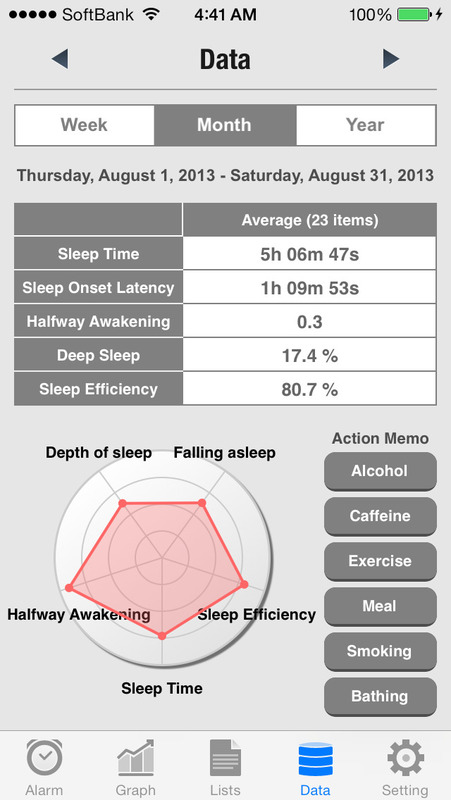 - Records your sleep cycle. - Recording your sleep talking. - The music player that stop when you fell asleep. 1. In settings, set the alarm sound or music preferred. Set snooze settings. 2. On the main Alarm screen, set the time you wish to wake up by press 'Start' to begin monitoring and the alarm. 3. Press the sleep button or home button on the device and close the app. 4. Once you have closed the app, set your device under your bed sheets. It doesn’t matter which direction your device is facing. 5. 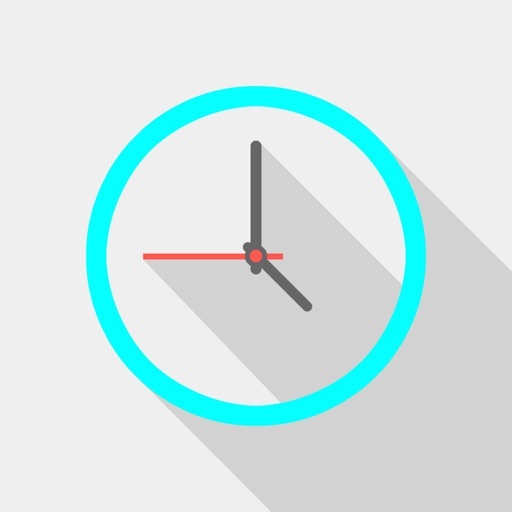 The alarm will ring during your shallowest sleep of the 30 minutes prior to the time set. 6. Slide the button to disable the alarm and monitoring. - The difference between the free and paid versions is whether you get ads or not. - Added the Passcode Lock. - Cooperation with LINE app. - Fixed a issue that can not be performed automatic tweet. Thank you very much for always using. The following issue was corrected. I am very sorry to make trouble. I appreciate your continuous support. - If you used recording function of sleep talking by iOS7, corrected the issue which an application stop. ※ If you recording function of sleep talking by iOS7, open a setting application and move to a microphone in privacy, and please turn On the 'Sleep Meister'. If 'Sleep Meister' is not displayed on a setting application, please open the recording setting screen of a Sleep Meister application. - It became to be able to switch on/off of the fade-in effect of volume. - Compatible with iOS 7. - Corrected the code about a memory.